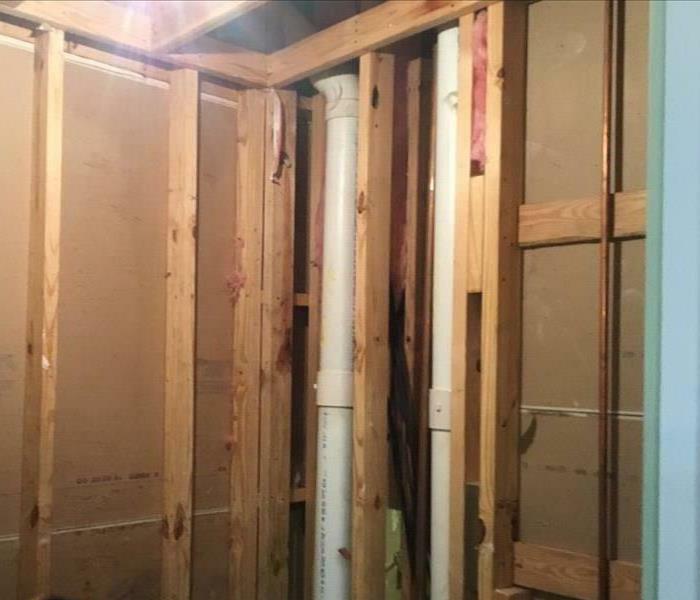 This home suffered from a toilet overflow affecting multiple rooms throughout the home. 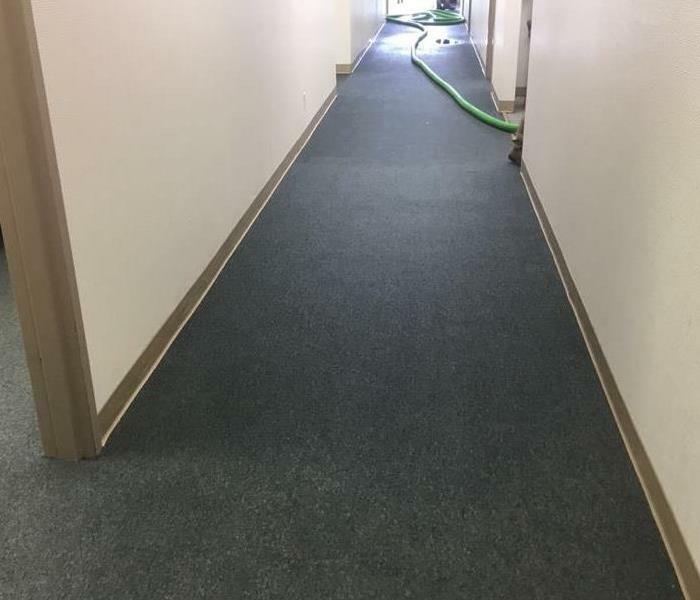 SERVPRO of Victoria was called and helped removed the saturated carpet and installed drying equipment in the affected areas. Our team is dedicated to helping you when disaster strikes! Disaster strikes when you least expect it but you can always plan ahead and be prepared. Create peace of mind for your company and be prepared for any major disasters by creating the latest and greatest SERVPRO Emergency Ready Profile (ERP). You can access this through any mobile devices or tablets or through the website. The profile has documents containing critical information needed during an emergency. A pipe had ruptured in this home. Upon arrival there was no standing water, just falling sheetrock and insulation. Equipment was installed to dry out the affected area of the home. 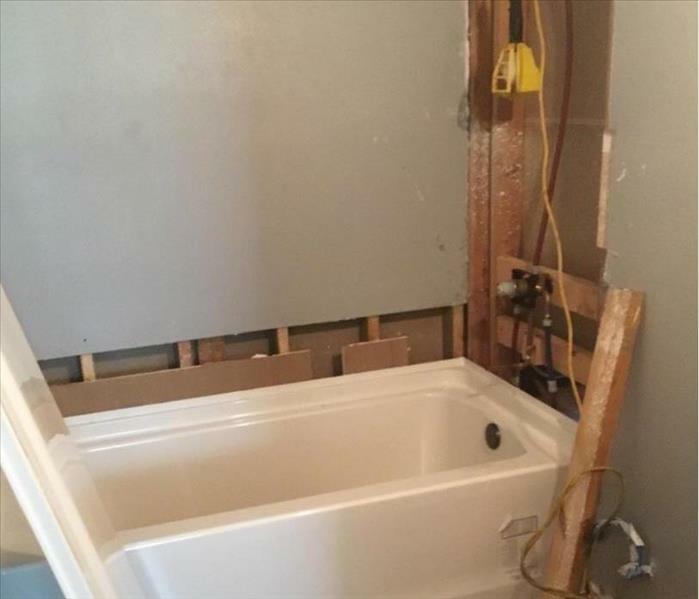 Do you have falling sheetrock in your home from water damage? Give SERVPRO of Victoria a call (361) 573-6000. This was the aftermath of a previous water leak. Mold was found behind the kitchen cabinets. SERVPRO of Victoria was reached out for mold remediation. Do you see signs of mold? Give SERVPRO of Victoria a call (361) 573-6000! This commercial building called SERVPRO of Victoria in regards to a water loss. 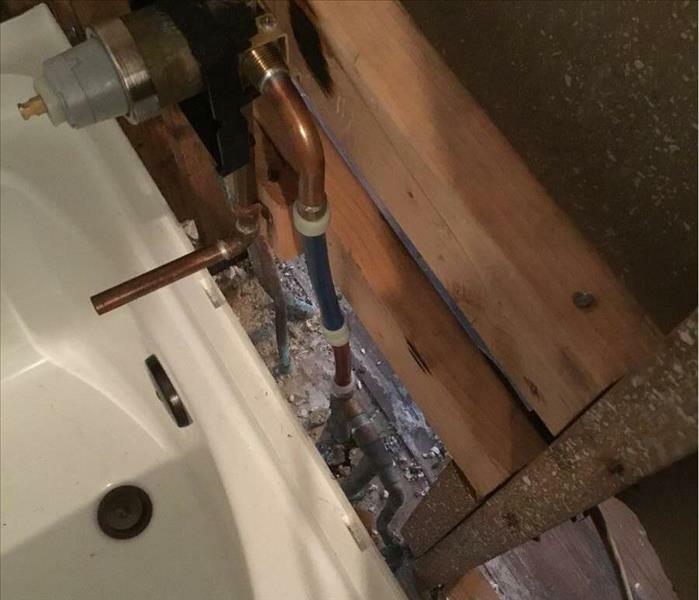 This business was dealing with a hot water heater leak that affected multiple rooms. 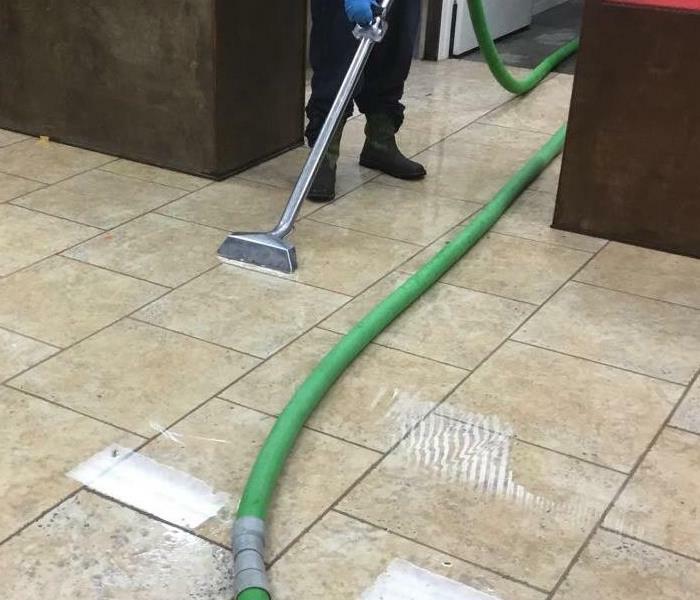 SERVPRO of Victoria arrived on the job as quickly as possible to help get this business back up and running. Our team cut out sheetrock and removed insulation to help the drying process. A home experienced a hot water heater leak affecting flooring in walls and floors in a pool house. SERVPRO of Victoria came out to help the drying process. 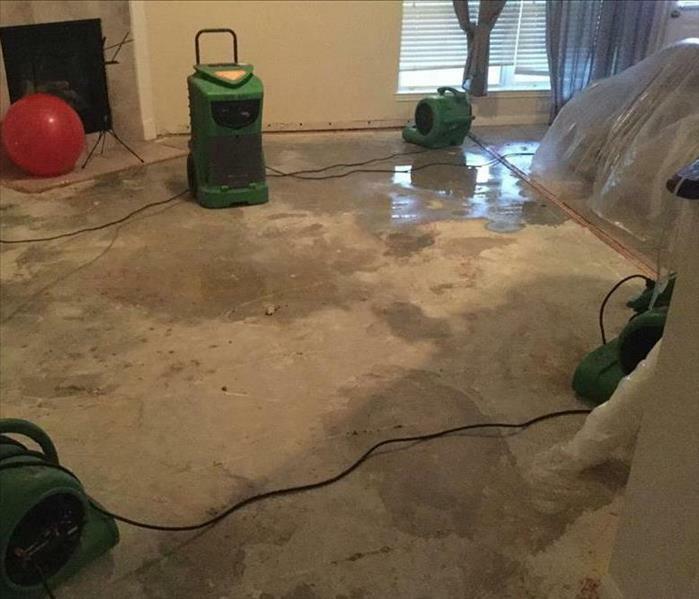 If you are suffering from a water loss in your home give SERVPRO of Victoria a call (361) 573-6000. Outside grill fire caused fire damage in this home. After the fire trucks left SERVPRO of Victoria was reached out by the homeowner to remove the smoke damage in their property. 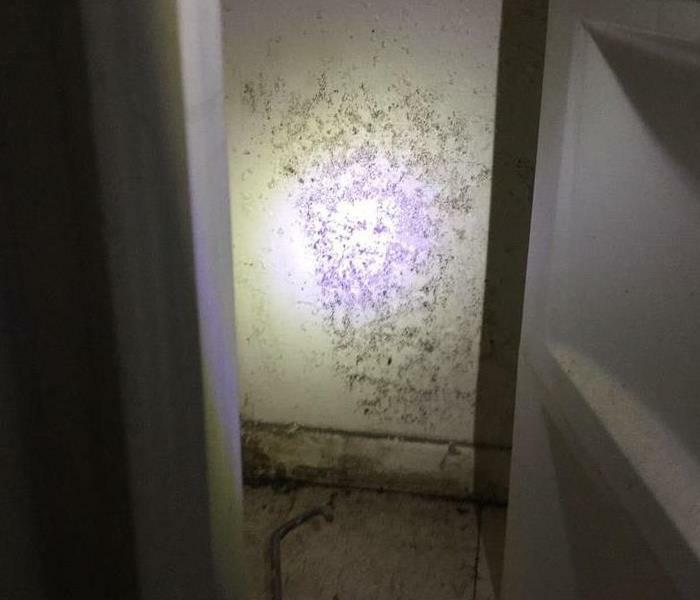 This homeowner contacted SERVPRO of Victoria when he noticed mold growth. The growth was caused by an A.C. leak that has built up over time. 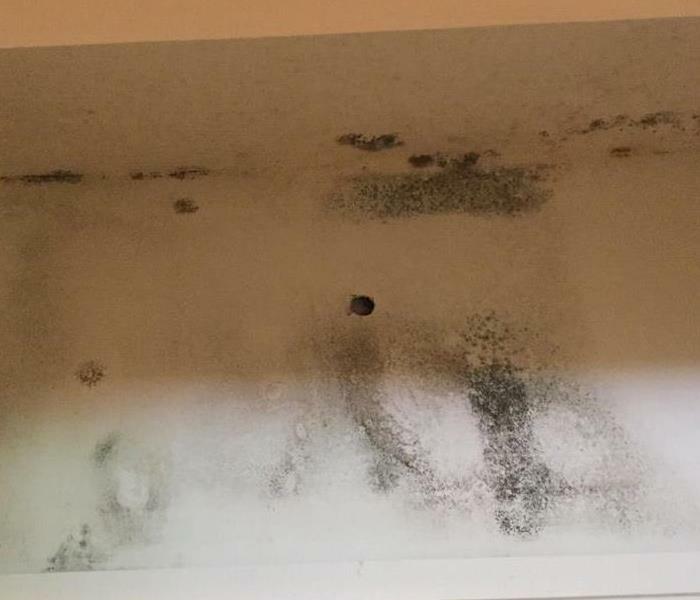 If you notice mold growth in your home give our team a call here at SERVPRO of Victoria (361) 573-6000! When floodwater intrudes your home, call a trusted company. SERVPRO of Victoria has the specialized equipment and trained technicians to help restore your home back to its preloss conditions. Our team is here to help! This was the aftermath of a house fire when SERVPRO of Victoria arrived at the scene. There were a significant smoke and soot damage. 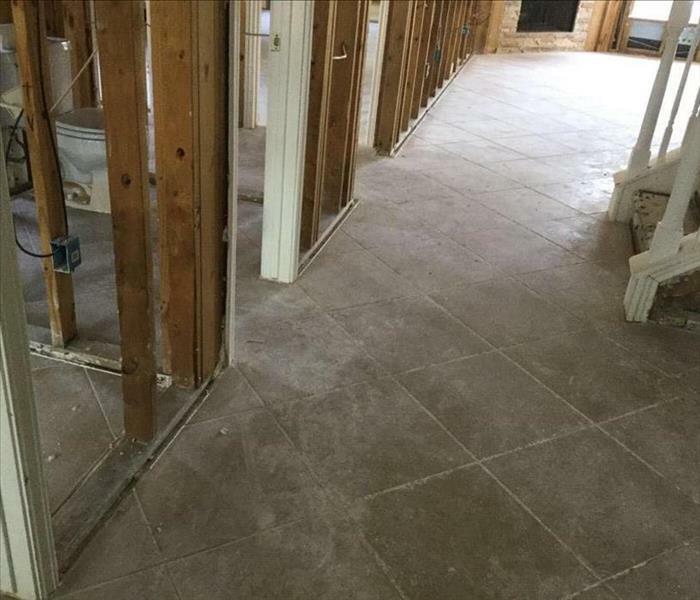 SERVPRO of Victoria worked hard to restore the home to its preloss condition. Our team is dedicated to making disasters "Like it never even happened." This home in Victoria, TX experienced a ruptured water pipe coming from the attic. There were significant amounts of water throughout the home in each room. The owner contacted SERVPRO of Victoria to help clean up the damage. Our team is always here to help! 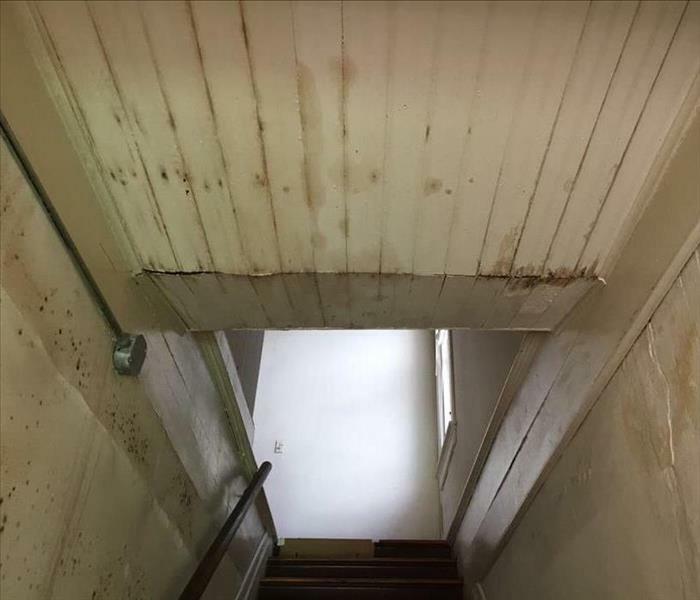 This home suffered from microbial growth due to a previous water damage. Don't wait until matters get worst. Give SERVPRO of Victoria a call if you are experiences any type of mold growth. We are here to help! No job is too big for SERVPRO of Victoria. 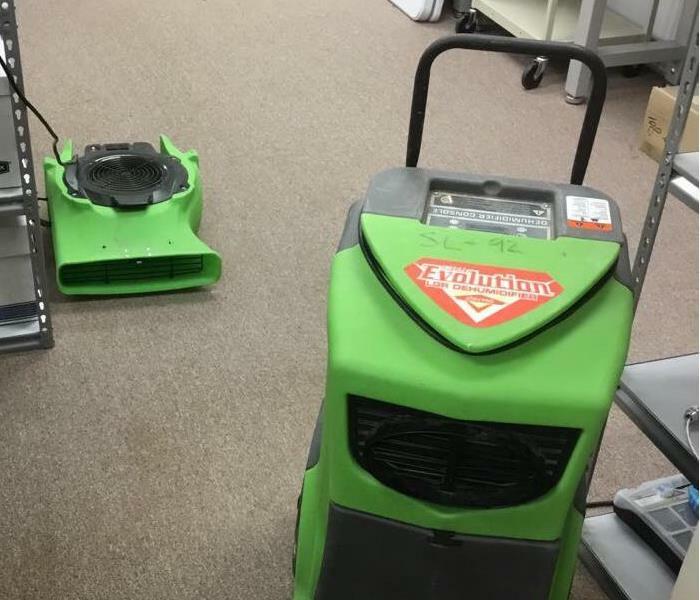 This company called SERVPRO of Victoria out when the company's staff saw standing water in their warehouse. Please give SERVPRO of Victoria a call if you experience water damage at your company. We are dedicated to make it "Like it never even happened." 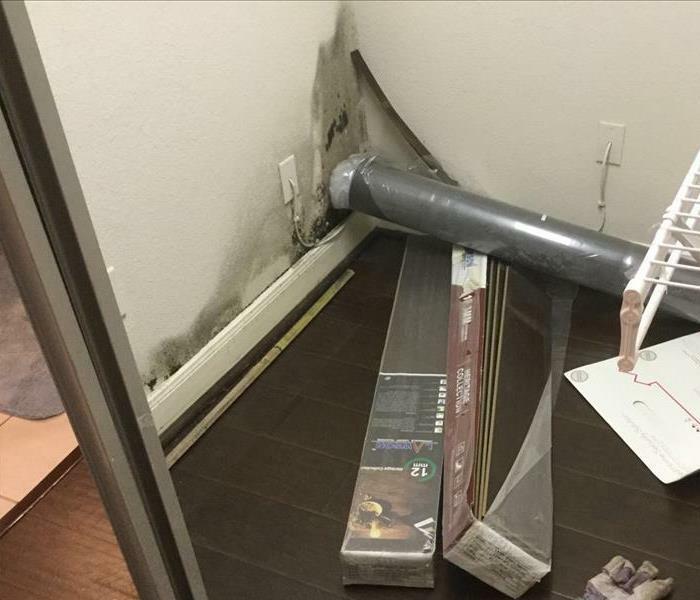 SERVPRO of Victoria was contacted after a washer pipe had ruptured in a home in Victoria, Texas. Our team quickly responded and started the water removal and cleanup process so no further damages would occur. 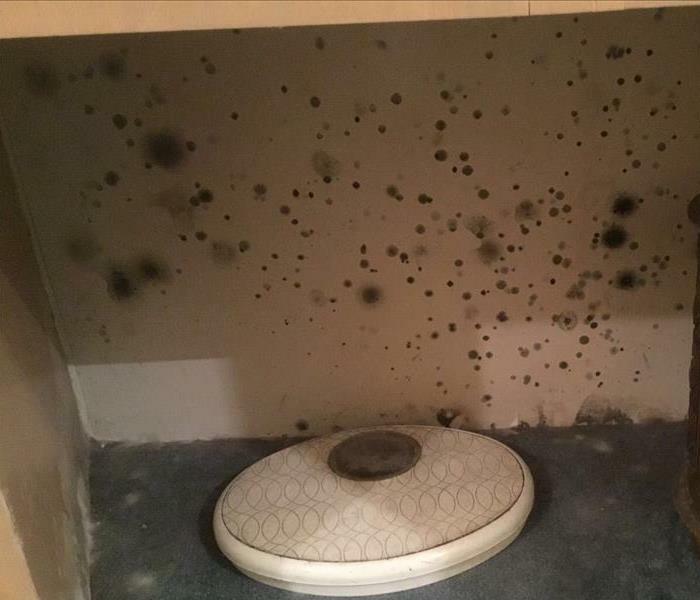 After a preexisting water damage, microbial growth was found in this residents closet. SERVPRO of Victoria has all the tools and equipment to remove mold in your home! Making disaster "Like it never even happened." Disasters can strike when we least expect them. 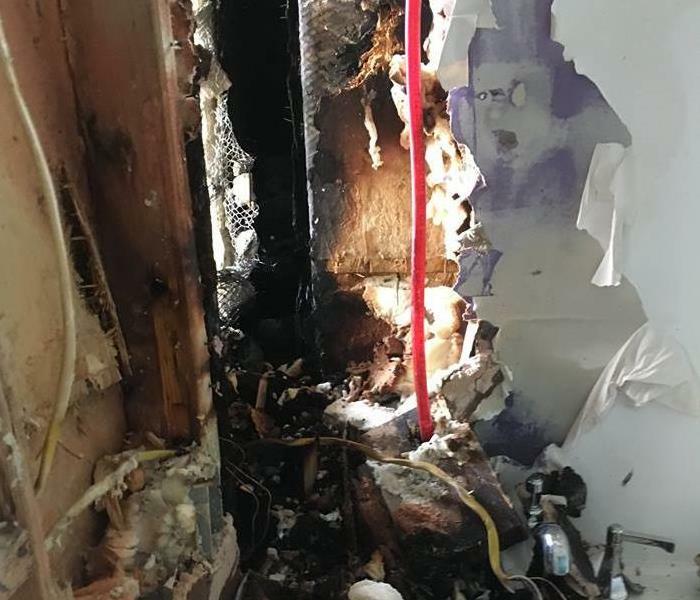 SERVPRO of Victoria was reached out by this homeowner after experiencing fire damage in their home. Our trained technicians are always ready to make disasters "Like it never even happened." 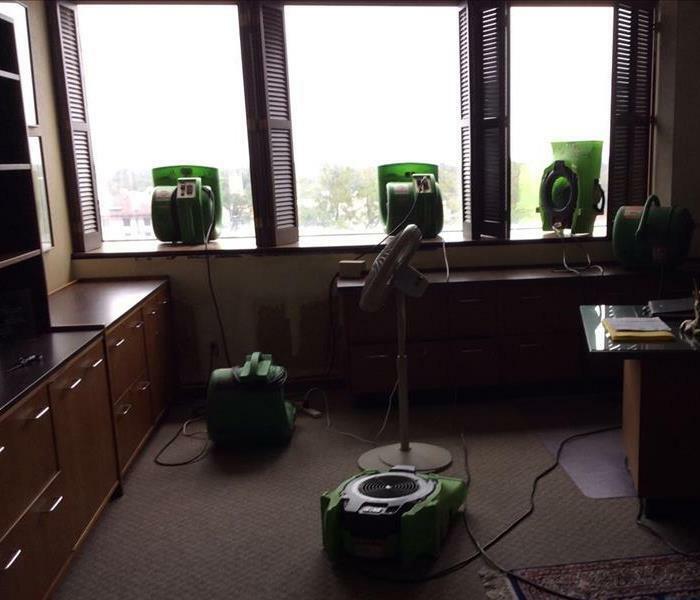 SERVPRO of Victoria was reached out by a homeowner about water damage. 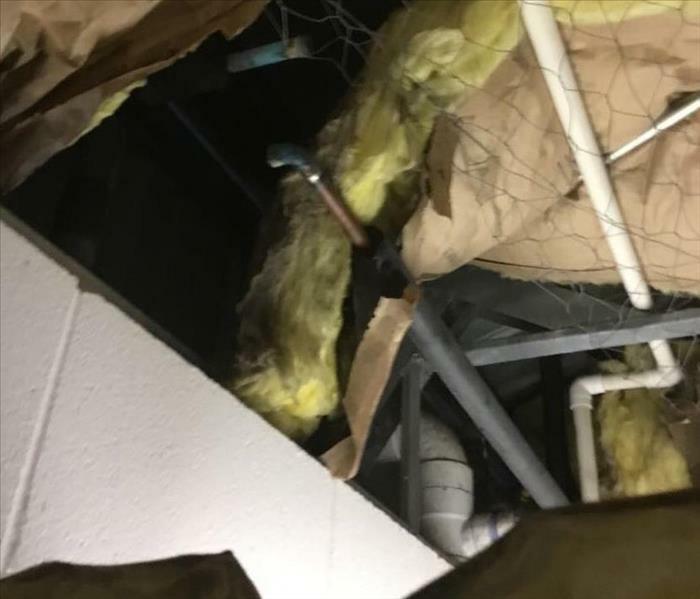 When our crew arrived on site, there was significant water damage from a ruptured pipe. After a few days, our technicians were able to complete the job. No matter how big or small the damage is, SERVPRO of Victoria is here to help! 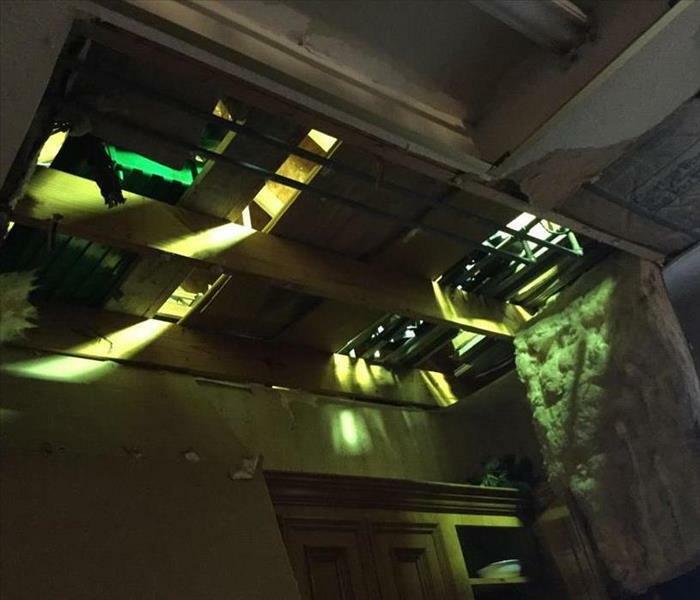 Water damage was discovered from the ceiling of this business. 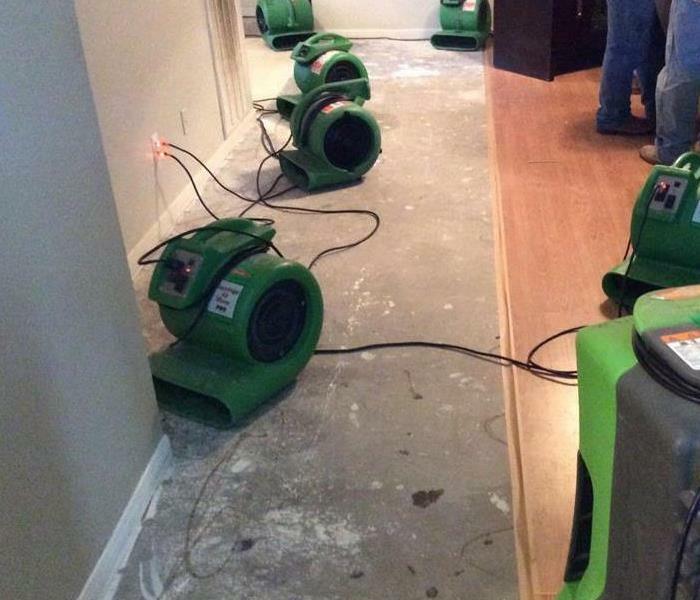 SERVPRO of Victoria was able to identify the source and help dry all affected areas. We make disasters "Like it never even happened." Disasters are never planned. 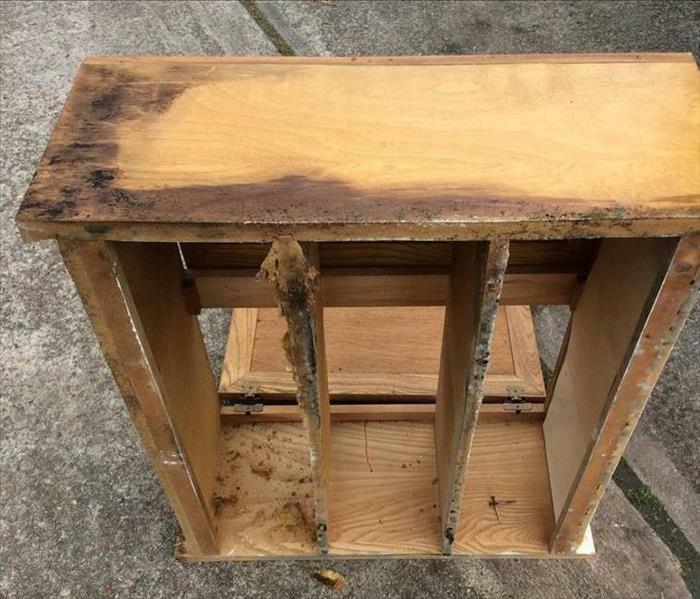 This customer reached out to SERVPRO of Victoria after fire damage. Our team arrived on the site and our team accessed the damage. Our team is here to help! This was the aftermath of an office when Hurricane Harvey struck Victoria. SERVPRO of Victoria arrived on the scene. There was significant water damage and mold growth. 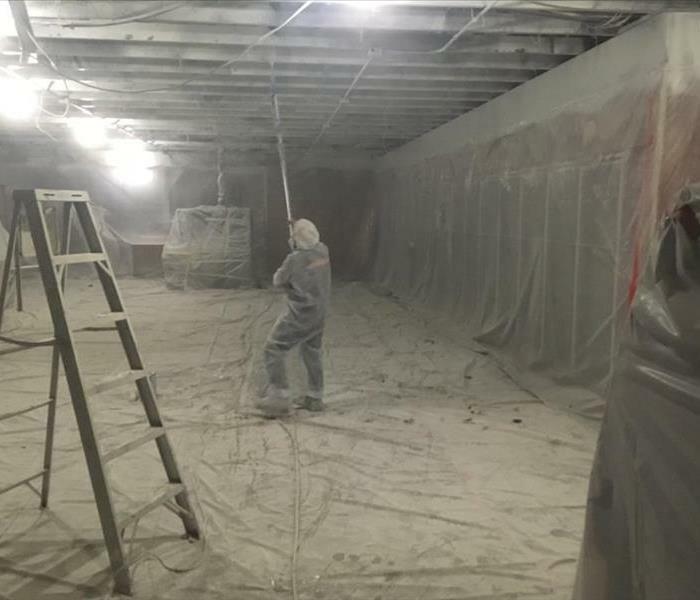 Our team immediately went to work and helped restore this company. SERVPRO of Victoria understands the stress and worry that comes with storm damage and we are here to minimize the interruption of your business. SERVPRO of Victoria is here to help (361) 573-6000! Disaster strikes when we least expect it. 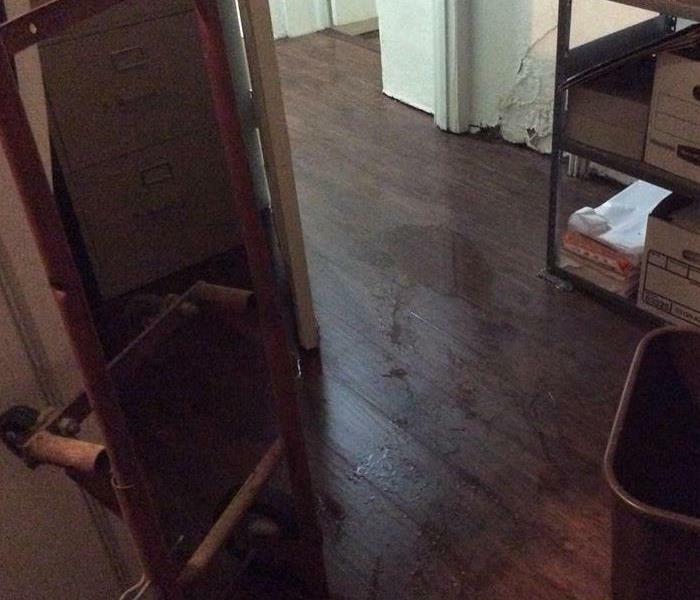 Unfortunately, this office experienced water damage and called SERVPRO of Victoria. No matter how big or small the damage is, SERVPRO of Victoria make disasters "Like it never even happened." 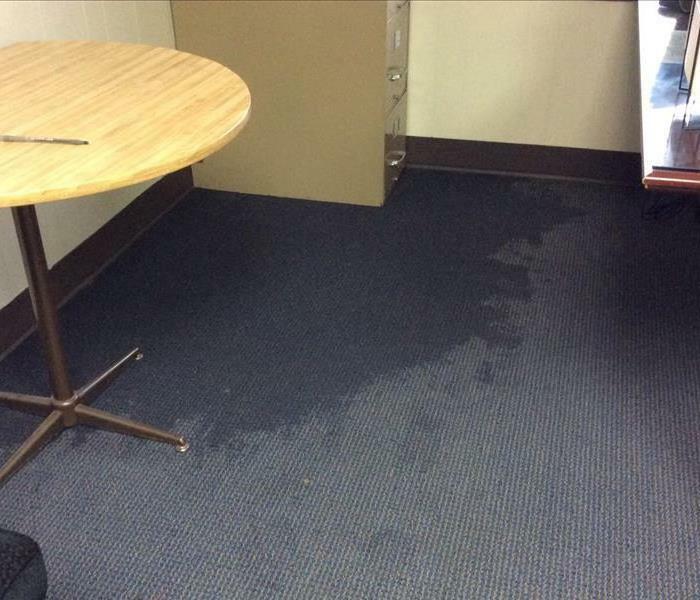 After a storm had past, water stains were noticed by a customer out in Victoria, Texas. 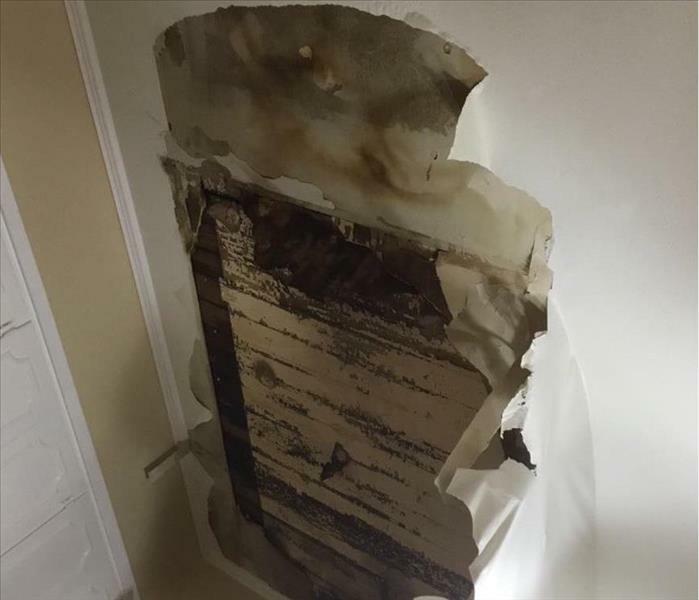 The resident called out SERVPRO of Victoria to avoid further damage. SERVPRO of Victoria is dedicated to make disasters "Like it never even happened." 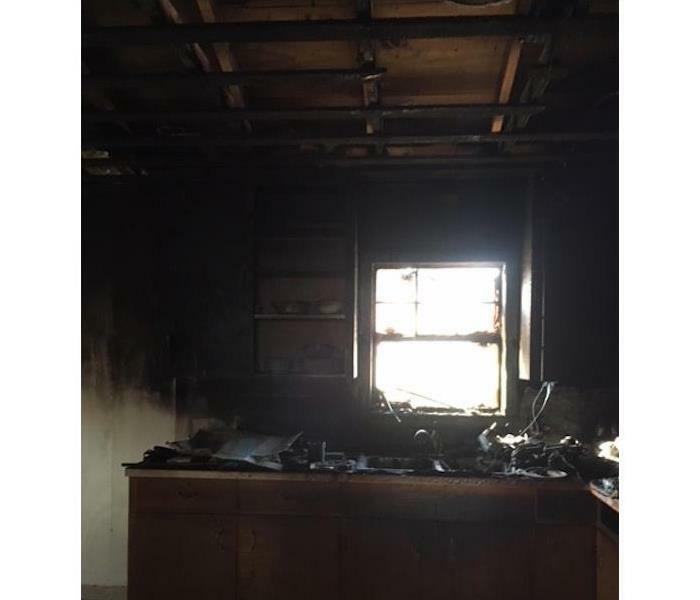 After SERVPRO of Victoria arrived on scene, this was the aftermath of a kitchen fire. Our team was able clean the soot and remove the lingering odor. SERVPRO of Victoria make disasters "Like it never even happened." 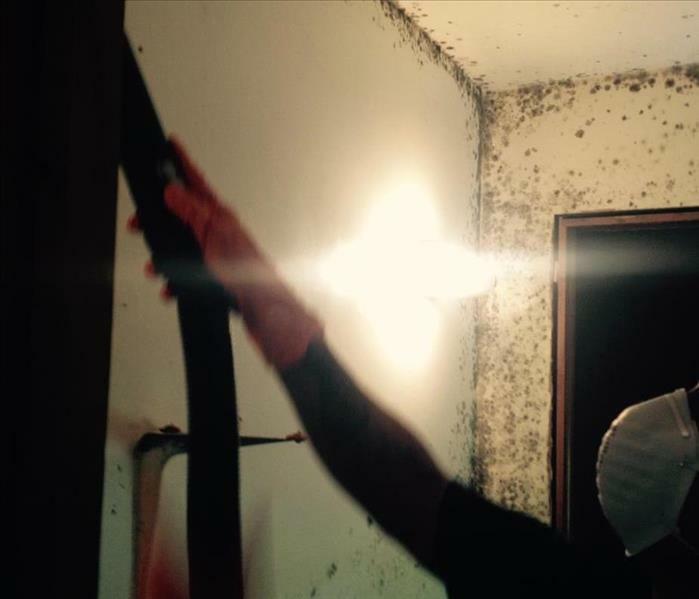 Our experts have the training and equipment to remediate the mold in your home or business. Give SERVPRO of Victoria a call to learn more about the Mold Remediation Process! 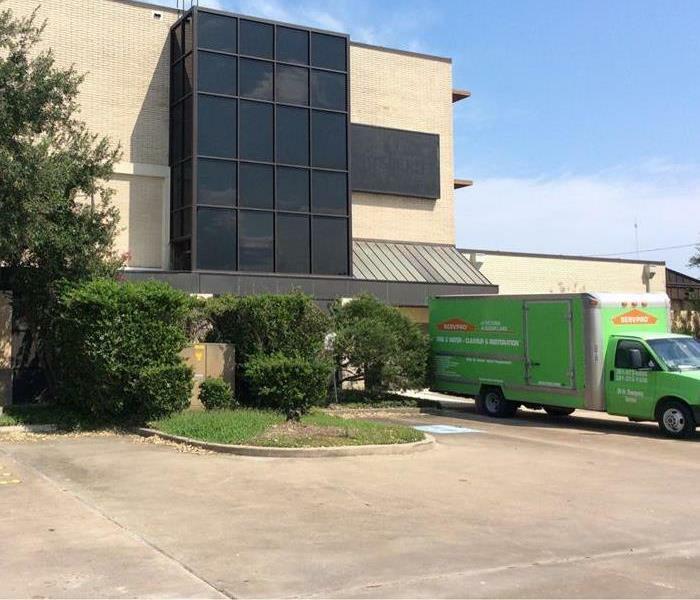 No job is too big for SERVPRO of Victoria, as our highly trained technician’s heads out to a commercial job in Victoria, Texas. SERVPRO of Victoria is here to help when disaster strikes. We make disasters "Like it never even happened." This customer called SERVPRO of Victoria after mold growth from a previous water damage. Don't wait until matters get worst. Give SERVPRO of Victoria if you or anyone you know experiences any type of mold growth. We make disasters "Like it never even happened." Do you know who to call when disaster strikes? 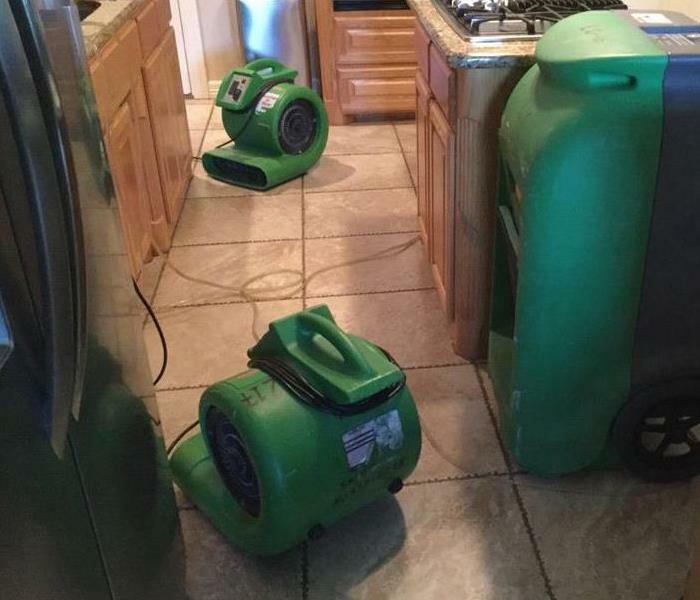 Give SERVPRO of Victoria a call at (361) 573-6000 if you or anyone you know experiences water damages. Our team is here to help make disasters "Like it never even happened." Leave it to the experts! Give yourself a piece of mind and call the highly trained and certified technicians to restore your home. When storm damage strikes give SERVPRO of Victoria a call (361) 573-6000. We make disasters "Like it never even happened." 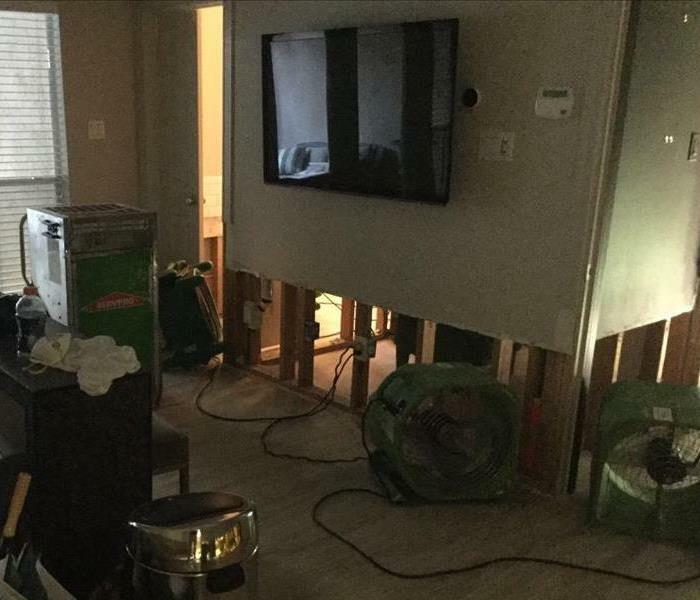 Out in Victoria, Texas a customer experienced water damage after a pipe ruptured. They immediately took action and called SERVPRO of Victoria. Our team is dedicated to help when disaster strikes. 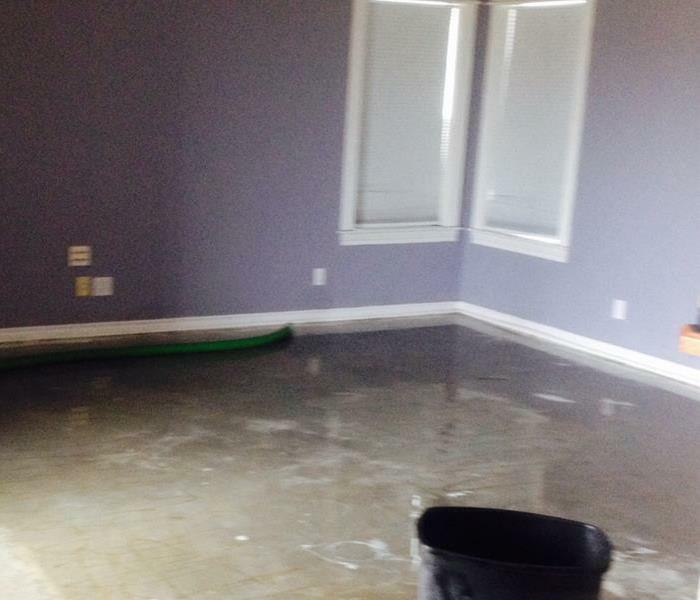 Give us a call if you experience water damage (361) 573-6000! Commercial fire damage can cause serious destruction to a property. SERVPRO of Victoria was reached out to about a fire job. Our crew was able to help clean up the damage and help the company resume back to operations again. If your business suffers from fire damage, call SERVPRO of Victoria (361) 573-6000. Making sure "Like it never even happened." Are you experiencing water damage? No problem! SERVPRO of Victoria is here to help. Give us a call if you or anyone you know has experienced any kind of water damage in their home or business! 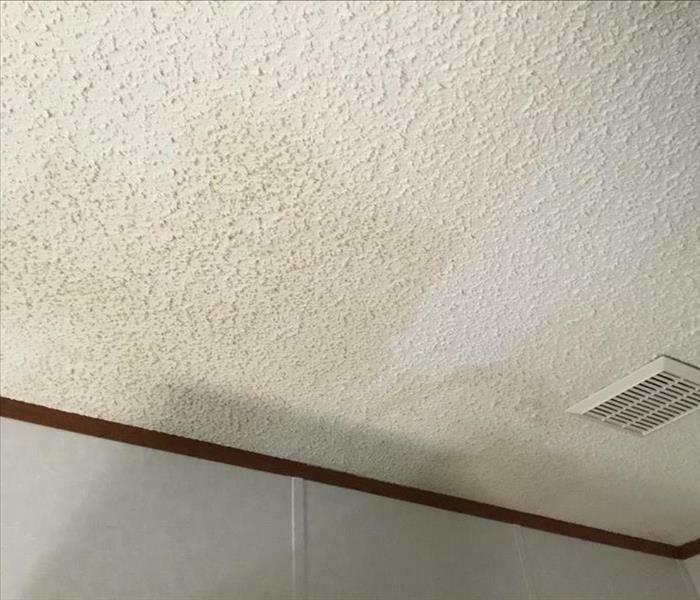 Water damage occurred in a resident’s home in Victoria, Texas. SERVPRO of Victoria was called out to help fix the home back to the way it was “Like it never even happened”. 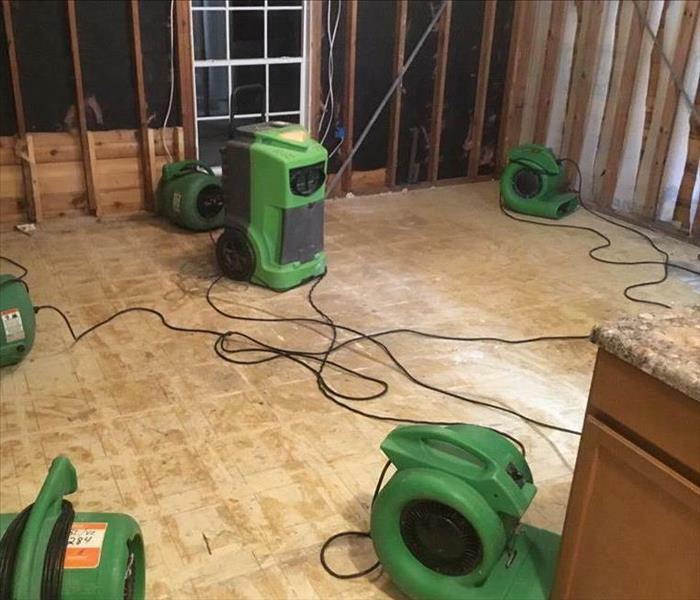 No damage is too big for SERVPRO of Victoria; not even the damages left behind by Hurricane Harvey. After the hurricane made landfall (on August 25), many homes and business were in need of help and restoration services. SERVPRO of Victoria was called to help a business out by the effects of Hurricane Harvey's damaging rains! Owner, Mark Hart, stands outside with our storm trailer upside down caused by the aftermath of Hurricane Harvey. SERVPRO of Victoria may bend but will NOT break! Our company is prepared for whatever happens. We may not have to deal with snow in Texas but it does not stop our Storm Team from helping out others that are affected by it. Our Storm Team traveled to Boise, Idaho earlier in January to help out home owners and business owners with the damages caused by the abundance amount of snow. Our crew was happy to help put these customers lives back in order and "Making sure like it never even happened". We have a few new faces around the SERVPRO offices. 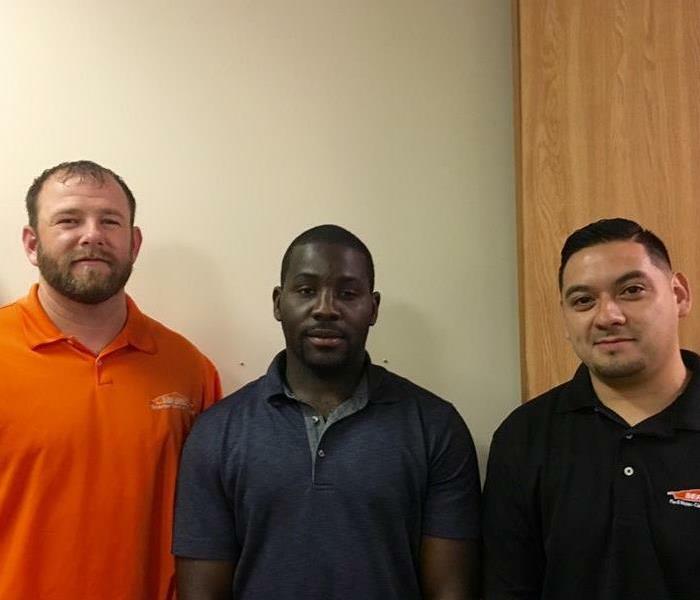 Please join us in welcoming Billy Maggard who is our Operations Manager in Sugar Land, Landry Tchokogue, our Accounting Assistant, and Sam Salazar our Project Manager for our Victoria office. Welcome to our team!